The Basilica of Vézelay, dedicated to Saint-Madeleine is located in the village of Vézelay, Yonne department and was founded around the year 859 A.D. A humble monastery at its beginning, it evolved and suffered the century to become an incredible basilica, home to many events of even international importance. The religious building was sacked by Norman raiders some twenty years after its construction, in 873 leading to its transportation in higher ground on the top of an hill. Following the sacks, the nuns who first occupied the abbey left and were replaced by monks. By the time, the abbey had been granted religious priviliges and was recognized by the royal authority. 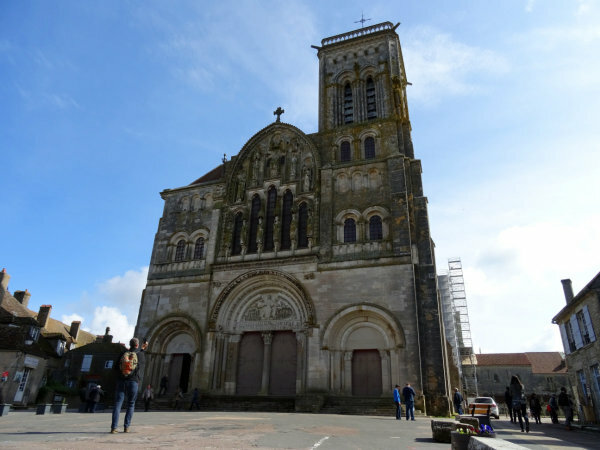 In the early eleventh century, conflicts between the abbey and the counts of Nevers lead to trouble for Vézelay. The counts jalous of the priviligies the abbey enjoyed plotted a villagers' uprisings. The bishop of Autun also tried to forbid pilgrims to stay at Vézelay until the pope himself put an end to it. The twelth and thirteenth centuries saw the abbey at its apogee but also lead to drama. A fire destroyed some parts of they abbey, an abbot was murdered by revolting peasants certainly helped by a count of Nevers. The succeeding popes and kings of France tried for years to play the role of referee between the abbots and the counts, often for no end or until conflicts restart. In 1152, the abbey was sacked once more, this time by uprisers fomented by Nevers. The twelth century was also the century of greatness for the abbey. In 1146, the pope asked Bernard of Clairvaux ( Saint Bernard ) to held his preaching of the third crusade near the abbey, on the top of an hill where a cross today stands. Two decades later in 1166, the bishop of Canterbury Thomas Beckett condemned his suzerain King Henry II of England. In 1190, the French King Philippe-Auguste and his counterpart the English King Richard the Lionheart met at Vézelay to prepare their expedition for the third crusade. Half a century later, the abbey welcomed King Louis IX, future Saint Louis for his first pilgrimage there. He would come three more times at Vézelay. The following centuries lead to a slight decline of the abbey's popularity. The Wars of Religion which plagued France during the XVIth century did not spare Vézelay which was sacked and looted by the Huguenots. In the decades before the revolution, the abbey was almost abandonned and several of its buildings were demolished. During the revolution, what was left was sold or destroyed. 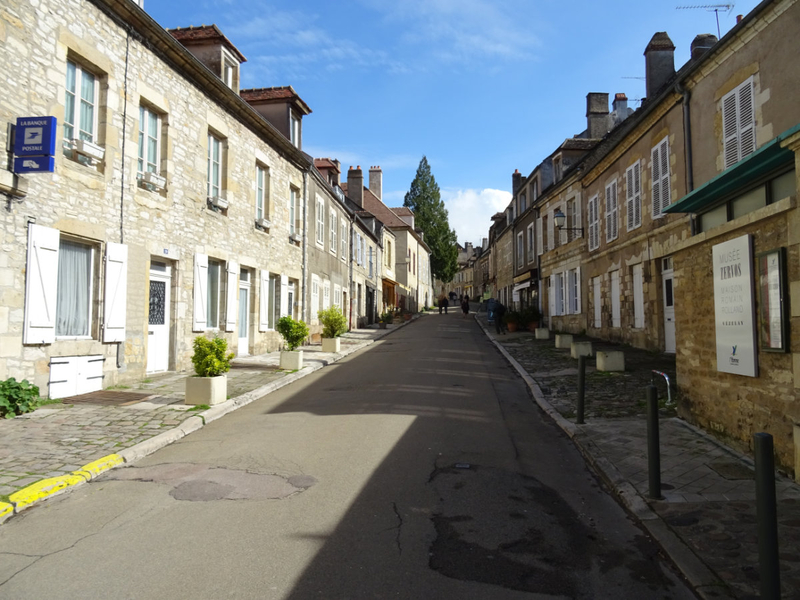 It's only in the mid-nineteenth century that Vézelay was reborn and restored. In 1920 the abbey became a basilica by decree from Rome. Still today, the basilica is often restaured and it welcomes spectacles, archeological work and guided visits. 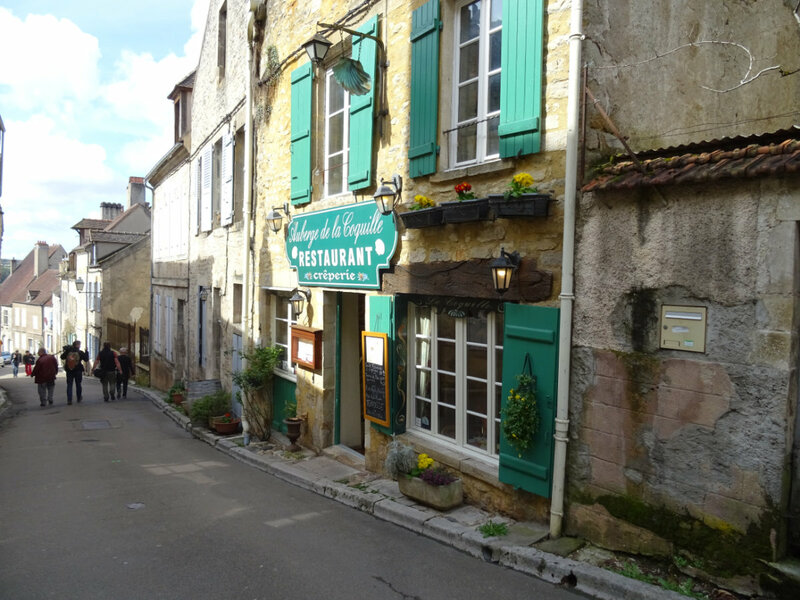 It is also worthwile to note that Vézelay was an important passage for those wishing to make a pilgrimage to Santiago de Compostela. Indeed, Vézelay is located at a cross-road towards Santiago for those living further north.